Kayıp, silinmiş, formatlanmış ve kopuk verileri kolayca ve güvenle kurtarın. MiniTool Power Data Recovery ücretsiz sürümü Windows kullanıcıları için ene iyi ve her şey içinde tek veri kurtarma programıdır.Kullanıcılar sadece 3 etapta kayıp, silinmiş, formatlanmış ve kopuk verileri kolayca ve güvenle kurtarabilmektedir. Uygulama pek çok faydalı aracı da içinde barındırarak sabit diskte, USB sürücülerde ve hemen hemen tüm disk veya veri alanındaki kayıp veya silinmiş verileri geri getirmektedir. MiniTool Mac Data Recovery Personal License can recover photos, music, videos, emails, documents, and other types of data from Mac computer or other storage devices. 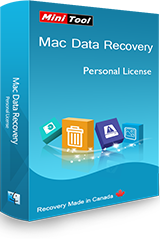 This Mac data recovery software is fast, safe and easy to use.It has data preview effect, so Mac users can enjoy the charm of data recovery in advance. What is this a hobbled program? It only lets you do 1 gb of data. That's absolutely useless in todays world of TBs of data on all PCs. Not impressed its equalivant to 1 bit of ram to a GB of ram. If I had known ahead of time that this was a severely hobble program I wouldn't have downloaded it at all. nomadss!, This GAOTD version has a licence with it and gives you unlimited data. The 1 gb one is the standard free version you could get any time not this one. Installation and registration could not be simpler; I had a previous version of this program and so this one installed as registered. This company makes some of the most easy-to-use software of its type with really well thought out interfaces, and in my experience make it very simple for the user to proceed through the various steps. Installation and registration could not be simpler; I had a previous version of this program and so this one installed as registered. This company makes some of the most easy-to-use software of its type with really well thought out interfaces, and in my experience make it very simple for the user to proceed through the various steps. Most definitely a keeper.. Sorry but this cannot recover sredded files. tayz, not surprising at all. The purpose of shredding files is to make sure that no one -- and no program -- can "undo" the finality of shredding . . . So it's a good thing that this program cannot recover shredded files. tayz, not surprising at all. The purpose of shredding files is to make sure that no one -- and no program -- can "undo" the finality of shredding . . . So it's a <strong>good</strong> thing that this program cannot recover shredded files. The personal license is listed at $69.00 as the requirement price lists. However the write up describes the free version. I assume this giveaway is the personal license. There are five different versions available. 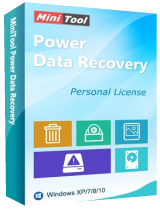 Check out this link to see the differences... https://www.powerdatarecovery.com/power-data-recovery-compare-license-type.html The personal license is listed at $69.00 as the requirement price lists. However the write up describes the free version. Received good ratings on both those times. Licence from then is still active so no hidden subscription models in use. This version of this product has been given away here twice before: December 1st 2016 https://www.giveawayoftheday.com/minitool-power-data-recovery/ February 13th 2016 https://www.giveawayoftheday.com/minitool-power-data-recovery-7-0/ Received good ratings on both those times. Licence from then is still active so no hidden subscription models in use.